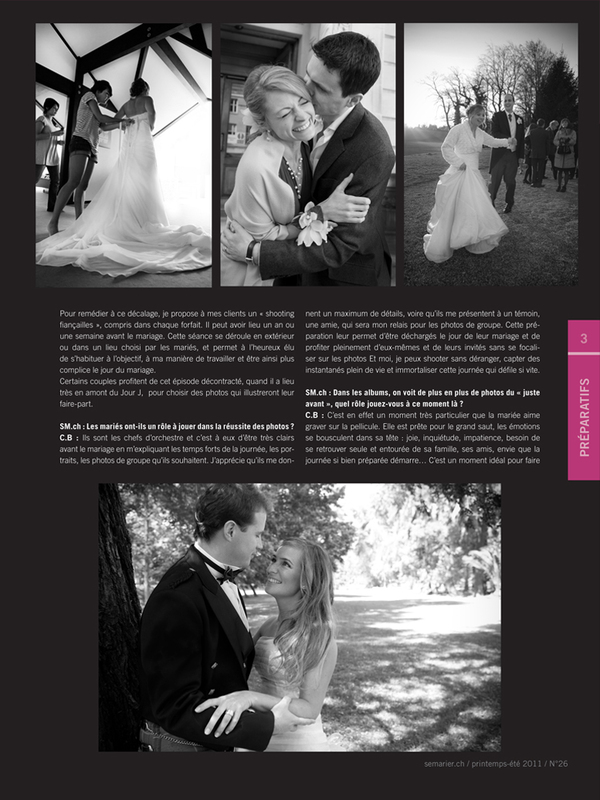 silversatsuma wedding photography: Featured : semarier magazine. 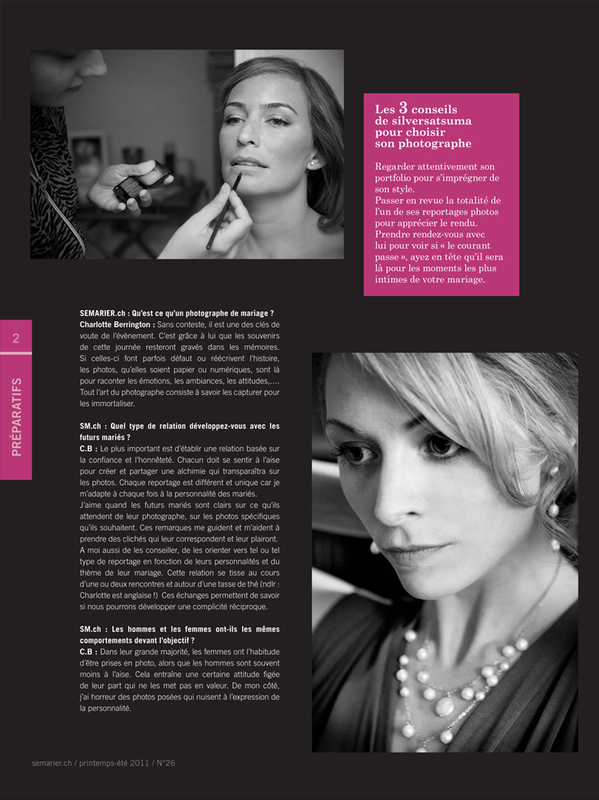 Semarier is the most distinguished wedding magazine in French-speaking Switzerland. In each edition the editor selects a different sector of the wedding industry on which to focus. An individual company is then selected to represent that sector and is featured in the magazine. 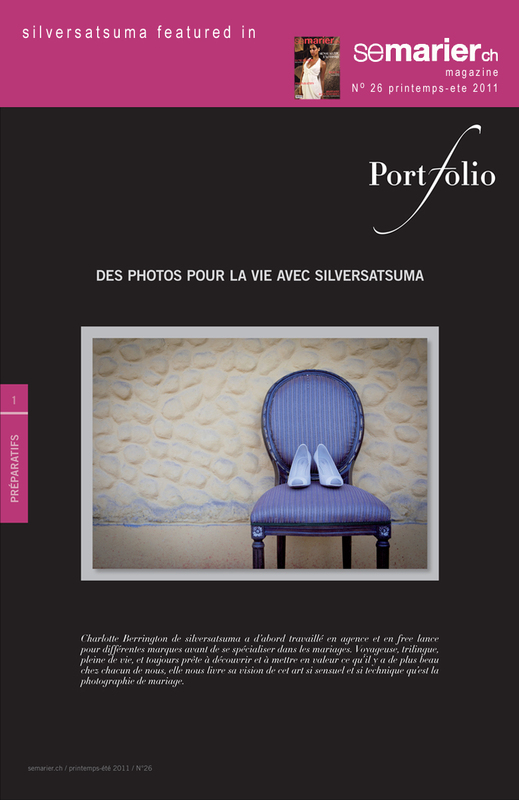 I was absolutely delighted when semarier chose silversatsuma to be the featured photographer for their spring - summer edition. I am very proud to share the article below with you, which of course is in French!